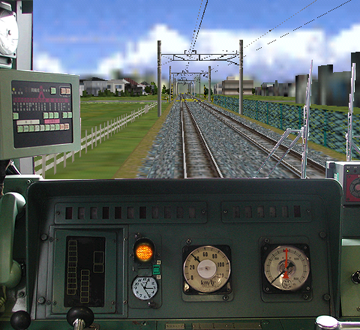 JR East class 205 EMU. This train for the Keiyo line consists of 10 cars, of which 6 motorized cars and 4 trailer cars. Photorealistic driver's stand with speedometer, manometer (pressure gauge), LEDs for indication of open door for each car, clock and pilot lamp. The train compatible with OpenBVE has disappeared from the creator's website.